You will find my style classy, sensual and beautiful. I love the little details, and will put my camera down until everything is just perfect. I want your experience with me to be empowering, liberating, and beautiful. Unforgettable actually. Reveal Boudoir focuses on the artistic side of women's photography, not necessarily just photographing lingerie. It's all about the shape of the female body; how you light and pose a woman can greatly impact the way she sees herself. Many woman think they are not photogenic, when in reality, all it takes is someone with skill, to capture her best qualities and leave the others to the shadows. She is also a member of the Professional Photographers of Canada, and has earned her Boudoir Accreditation. So you can be sure you are getting professional results, in a professional setting. 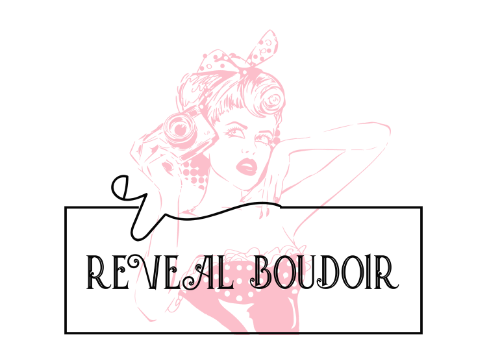 Reveal Boudoir is owned by Marlene, a Red Deer area Boudoir Photographer. Reveal is also about how a woman feels when they finally get comfortable in front of the camera, and let their guard down. This is when the ART happens. Beautiful ART. Sensual ART. Timeless ART. Marlene has been offering boudoir, or intimate women's portraiture, since 2008. She has a keen eye for details and provides her clients with a beautifully empowering experience & upscale artistic portraits in her very private, loft style natural light studio. She is also a member of the Professional Photographers of Canada, and has earned her Boudoir Accreditation. So you can be sure you are getting professional results, in a professional setting.